Are You "FIT TO WIN" Big Cash While Losing Weight? It's finally 2014, and many of us must have written "Lose Weight", "Diet", "Slim Down" as one of our new year resolutions. Ask yourself how many times you have wrote that goal on your chart, and it never get strike off! 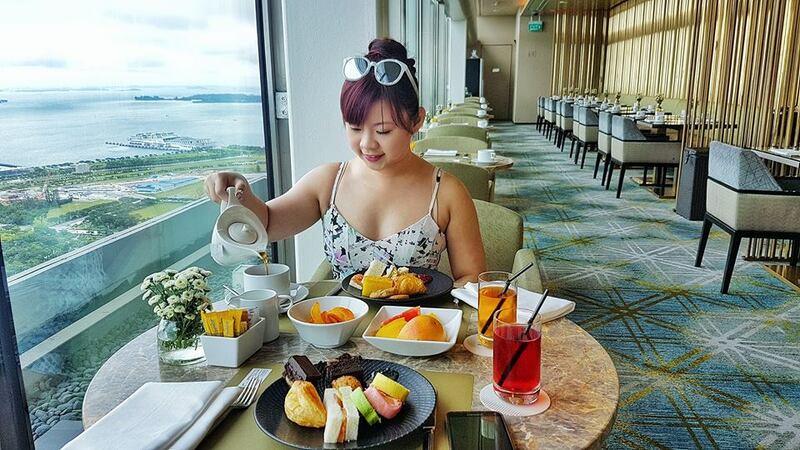 I'm currently planning for my wedding happening in December, and I'm desperately in need to slim down for the big day and most importantly the pre-wedding shoot! So how do I start doing it? 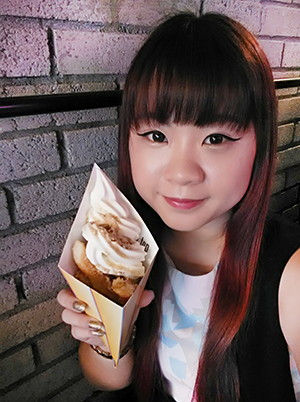 Founded by 4 Wee Kim Wee School of Communication and Information final year students, Fit to Win is a social weight loss challenge where you are able to attend free classes and win cash while losing weight with just $25! During the 8 weeks challenge, you only need to lose 5% of your current weight to win! E.g. If you are 60kg, you would only need to 3kg in order to have a share of the Money Pot (whoever hit the 5% mark or more will share the amount in money pot equally). The top 5 "losers" will also win further pizes up to $3000! This means that not only you can hit your goal, you may also get rewarded for your hard work at the same time! Why not? As of now, there are already $3420 in pot! Register at FTW by placing your $20 bet and $5 registration fee. 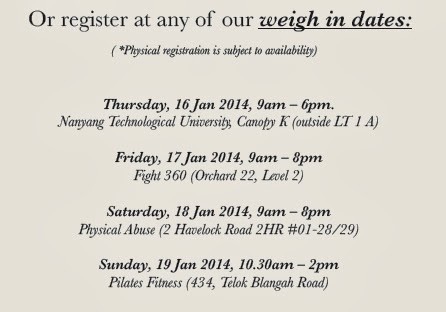 You can either register online, or at the following weight in location, subject to availability. By signing up, you will receive 24 credits for 24 fitness classes sponsored by 5 generous sponsors (Physical Abuse, Fight 360, Pilates Fitness, Bolly Dancing Studio and Desert Roses Fitness Dance Studio)! You can use this 24 classes to work your way towards your fitness goal with professional guidance! 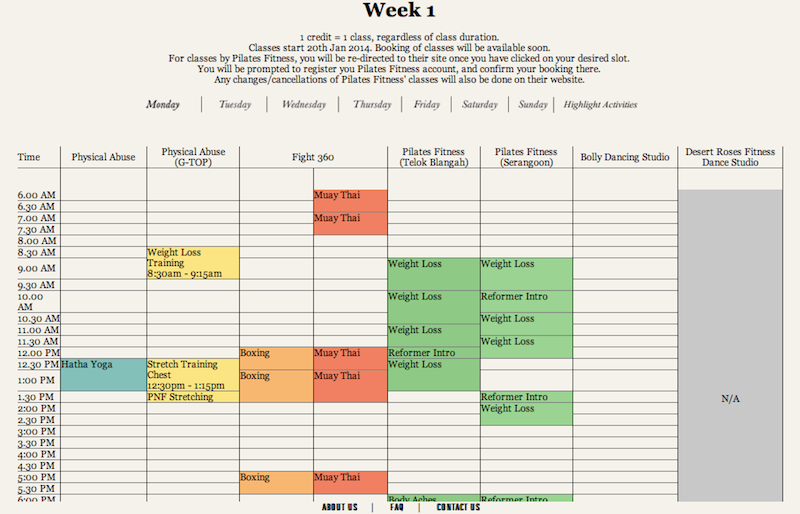 After you have registered and did your weight-in, it's time to book your classes! With such attractive programs, I'm sure the slots will get snatched really fast, so you really have to start NOW! The 8 weeks challenge will come to an end on 16 March 2014 where a final weigh-in is done. If you are one of the proud achiever of your targeted weight, you will walk away with your share of the money pot, pride and also self confidence! Good Deal Just For You! 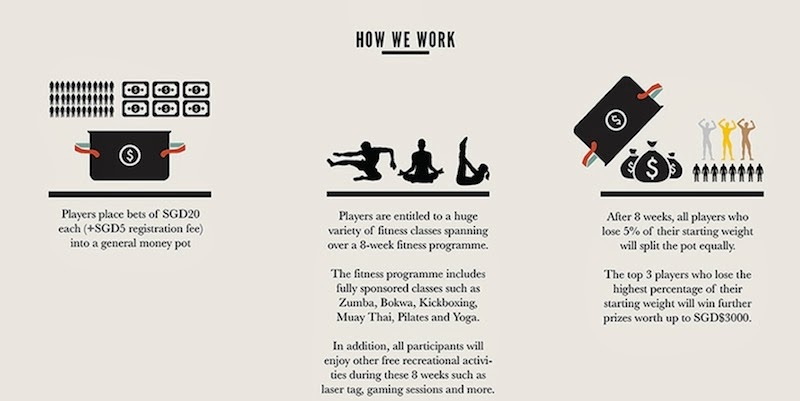 Receive 30 credits (for 30 fitness classes!!!) when you quote "SherieFTW" after registration and payment! Losing weight is not as easy as saying it or typing it. A lot of times, what we need is motivation, support from our loved ones, as well as friends who are willing to walk the path with us to achieve a common goal we set for ourselves. Achieve your fitness resolution with Fit To Win now!